The Boulder Stroke & Stride enters its 17th season in 2018, and offers Boulder area athletes a fun 1-lap 750 Meter Swim, or 2-Lap 1500 Meter swim in Boulder Reservoir, followed by a 5k run on the reservoir dam on 9 Thursday evenings throughout the summer. 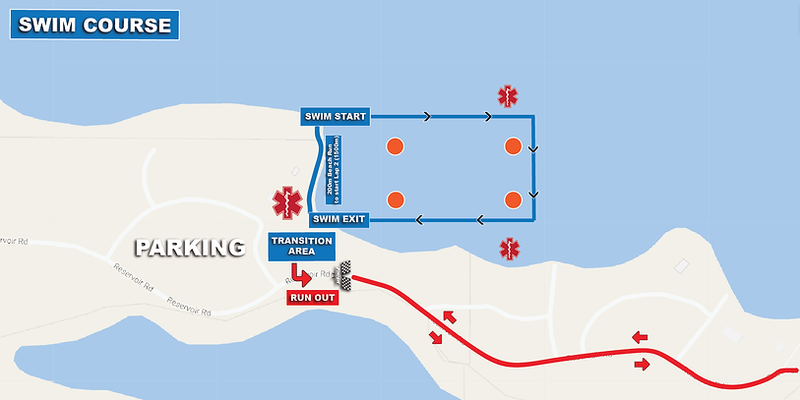 Many participants make their open-water swimming debut in the beginner-friendly Stroke & Stride 750 meter event, while more seasoned athletes get the thrill of starting alongside some of the top athletes in the world in the 1,500 meter swim. 250-400 participants enjoy the Stroke & Stride every week! Live timing, great post race food, hooded sweatshirts for 6-pack entries, and series prizes are just the beginning! BOULDER: Take 119 towards Longmont. Take a left on Jay rd and then you're first right on 51st. Proceed down 51st and then take a right into the reservoir. At the gate entrance please let them know you're a Stroke & Stride participant.